Senior players Liam Walker, Tjay De Barr, Mikey Yome, Ethan Jolley and Dale Coleing met up with young Europa players of different age groups who were busy in their training sessions. 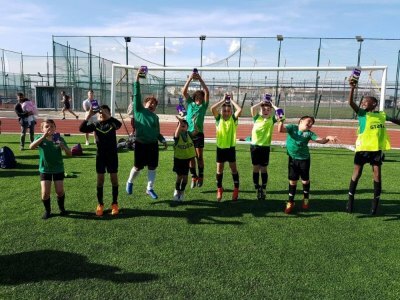 The senior players interacted with them and then also presented all the kids with an Easter Egg as a way of saying thank you for their efforts throughout the season. Europa FC also visited St. Bernard’s Hospital’s Rainbow Ward today as part of their community engagement. 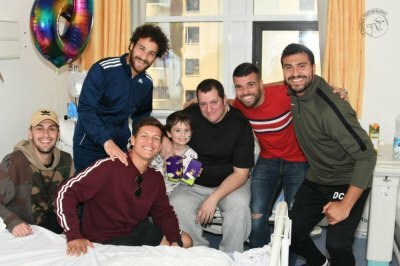 The senior players met these brave young people and spent some time with them. The kids were then presented with their Easter Eggs.